A new drug-free therapy wipes away fearful memories in rats and humans. 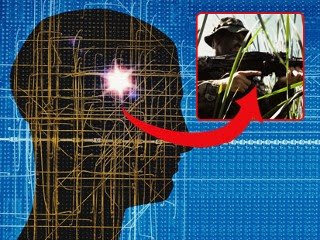 The simple treatment might eventually help patients with post-traumatic stress disorder, say researchers. The new procedure relies on a quirky property of memories called reconsolidation. The process of jogging a memory – with an emotional or sensory jolt, for instance – seems to make it malleable for a few hours. Potent drugs that block brain cells from making new proteins can erase fearful memories during this window. But these chemical are toxic, and wholesale memory erasure could do more harm than good, says Karim Nader, a neuroscientist at the McGill University in Montreal, Canada, who performed some of the drug studies. In search of a gentler way to block fearful memories, Marie Monfils, a neuroscientist at the University of Texas in Austin, tweaked a therapy sometimes used to treat PTSD, called extinction. Here, doctors repeatedly deliver threatening cues – gun shots, for instance – in safe environments in hopes of drowning out the fearful associations. Previous studies in patients and animals suggest that extinction therapy works up to a point, but fearful memories often reappear, Monfils says. She and her colleagues wondered if performing extinction during the reconsolidation window might lead to a permanent effect. Her team first taught rats to associate a musical tone with a slight electric shock. Playing the tone with no shock generally causes rats to freeze in fear. When her team played the tone over and over again, 19 times, the rats displayed less and less fear. This is standard extinction therapy. However, a month later their fear of the tone returned, strong as ever. To make the effect permanent, Monfils team jogged other rats' memories of shocks just once, waited an hour for memory reconsolidation to begin, and then played the tone over and over. "It's very simple and almost naïve to think it would work," Monfils says. But the fearful memories disappeared permanently. Rats that got extinction therapy after this reconsolidation window had closed relapsed as well. Using a nearly identical procedure, Daniela Schiller and Elizabeth Phelps, neuroscientists at New York University, tested whether they could block human volunteers from recalling a fearful memory. In this case they paired an electric shock with a blue square on a computer screen. They presented their findings last month at the Cognitive Neuroscience Society's annual meeting in San Francisco. Schiller and Phelps measured tiny, imperceptible changes in sweat – a well-documented fear response – in roughly 80 volunteers. As with the rats, repeated exposure to the blue dot during the reconsolidation window seemed to block the fearful memory from returning. What's more, if volunteers learned to associate both blue and yellow squares with a shock, Schiller's team could selectively block fearful reactions to the blue dot, while maintaining the fear of yellow, she says. "When extinction is done during reconsolidation, it probably has the same effect as drugs," Schiller says. Monfils theorises that extinction therapy alone creates two parallel memories linked to the tone or blue square, one fearful, one not. Waiting for reconsolidation to kick in overwrites the original memory instead of making a parallel memory, she says. Despite proof of principle experiments in rats and humans, Monfils says researchers should proceed with caution in applying the new findings to treating PTSD or other anxiety disorders. Some people's reconsolidation windows may be longer than others, and people respond differently to stressful situations. "I'm a simple rat researcher. I'm in no way going to suggest that I'm going to step in and tell clinicians how they should treat their patients," she says.